Meet Cordelia Gray: twenty-two, tough, intelligenta nd now sole inheritor of the Pryde Detective Agency. Her first assignment finds her hired by Sir Ronald Callender to investigate the death of his son Mark, a young Cambridge student found hanged in mysterious circumstances. Required to delve into the hidden secrets of the Callender family, Cordelia soon realises it is not a case of suicide, and that the truth is entirely more sinister. P. D. James was born in Oxford in 1920. She has won awards for crime writing in Britain, America, Italy and Scandinavia, including the Mystery Writers of America Grandmaster Award and the National Arts Club Medal of Honor for Literature (US). She has received honorary degrees from seven British universities, was awarded an OBE in 1983 and was created a life peer in 1991. In 1997 she was elected President of the Society of Authors. 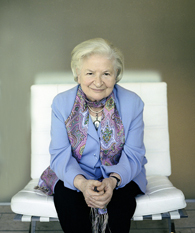 P. D. James is the author of twenty books, most of which have been filmed and broadcast on television in the United States and other countries. She spent thirty years in various departments of the British Civil Service, including the Police and Criminal Law Department of Great Britain's Home Office. She has served as a magistrate and as a governor of the BBC. In 2000 she celebrated her eightieth birthday and published her autobiography, Time to Be in Earnest. The recipient of many prizes and honors, she was created Baroness James of Holland Park in 1991.